Botulinum Toxin (Botox) Injections are the most common FDA approved cosmetic injections. Botox injections can be used to treat the face to temporarily relax the muscles and smooth out deep facial wrinkles around the brows, eyes, mouth and cheeks, or to treat Hyperhidrosis (excessive sweating) of the hands and feet. Botox is an affordable treatment of a few tiny injections and should only be by administered by a medical professional. Restylane is a popular cosmetic dermal filler for lip augmentation and cheek augmentation. The dermal filler can also smooth out fine lines and wrinkles but is particularly good at eliminating skin deep facial wrinkles that cannot be treated by other means. Juvéderm filler treatments offer long-lasting results for a natural look. The dermal filler is used to enhance and revive facial wrinkles using a high concentration of hyaluronic acid. Juvéderm can smooth out deep facial wrinkles and creases, and restore lip volume. 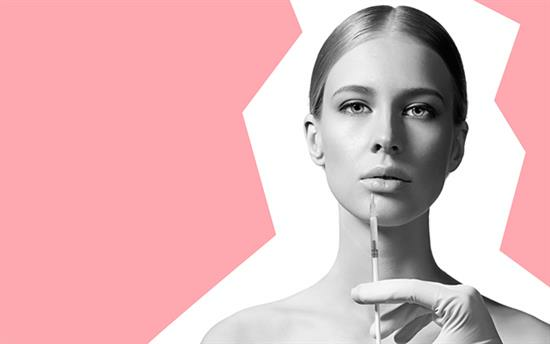 Voluma is an injectable gel dermal filler to plump cheeks that have sunken over time. The gel dermal filler has instant, high optimal results that last for about two years. While primarily used on older patients as an anti-ageing treatment, Voluma is popular with younger patients with flat cheeks. The Sculptra aesthetic stimulates, sculpts and reinforces your skin’s natural collagen production for a more natural and youthful-looking appearance; a non-surgical alternative to a face-lift. Sculptra works best over time, a gradual and subtle process. Like Scupltra, Radiesse stimulates the skin’s natural collagen production. Radiesse is highly effective in restoring lost volume in the face. The dermal filler is also good to treat depressed scars in the face or hands. Kybella is the first and only non-surgical treatment to reduce a double chin. The FDA approved cosmetic injection contours the chin by destroying excess fat cells in the chin and overall improving the profile.